The anglican parish church of St Mary the Virgin, in the Diocese of Worcester, is easy to find as it stands on the bend of the main road passing through Guarlford. Services are held on most Sundays, usually at 9.30 am, but check the schedule of services for more accurate information. You are most welcome to join us. Parking is available in Rectory Lane behind the church. We are in the Benefice of Powick and Guarlford and Madresfield with Newland. A plaque above the main door records that St Mary’s was built in 1844. It was then named St Mary's Barnards Green, a Chapel of Ease served by curates from Great Malvern Priory. 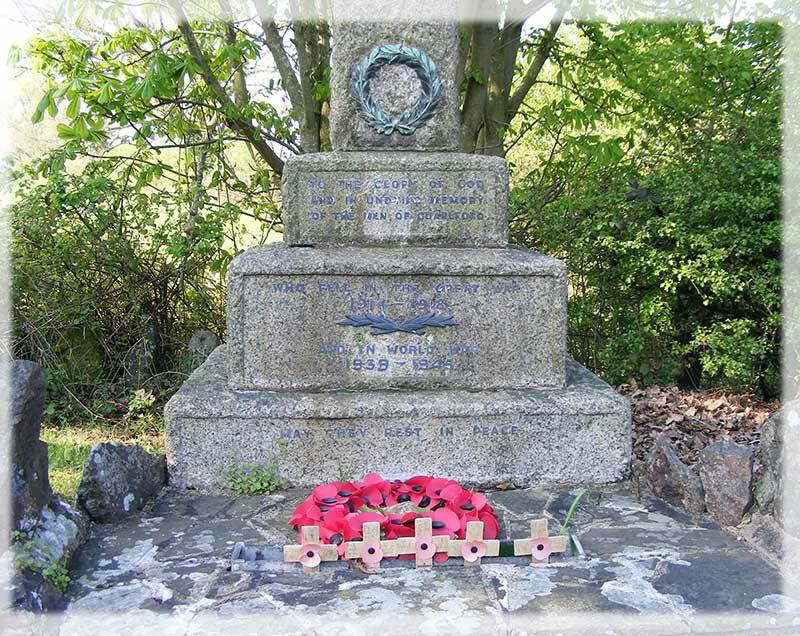 The first stone was laid by Lady Emily Foley on 19th August 1843. It was built by the local firm of George McCann to a design by Thomas Bellamy of London. When the parish of Guarlford was formed, out of Great Malvern and Madresfield, in 1866, St Mary’s became its parish church with its own Rector and Parochial Church Council (PCC). Details of the new parish were published in the London Gazette on 13th November 1866. Click here to see images of the interior as it is now and as it was 100 years ago. In 1981 the three ecclesiastical parishes of Guarlford, Madresfield and Newland were linked and put under the care of one priest in charge. In 1999 the three parishes were united to form a single parish with one PCC and two parish churches - St Mary’s, Guarlford and St Mary’s, Madresfield. At the same time this new parish was linked with the parish of Powick to form the Benefice of Powick and Guarlford and Madresfield with Newland all under the care of one priest. The parish of Powick includes Callow End and has its own PCC. The ancient church of St Peter’s at Powick is the parish church, and St James at Callow End is a Chapel of Ease. 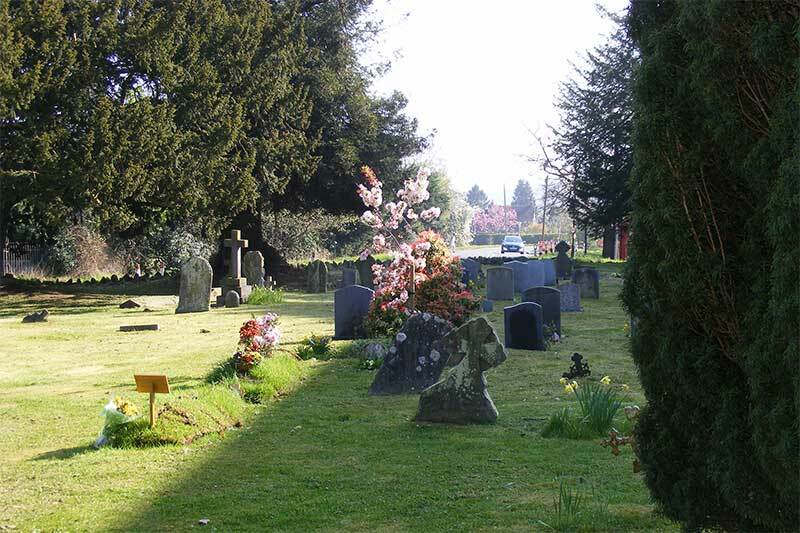 The beautifully decorated former parish church building of St Leonard’s at Newland is now in the care of the Beauchamp Community, and serves as its chapel; but the churchyard at Newland is still maintainted by Guarlford and Madresfield with Newland PCC. 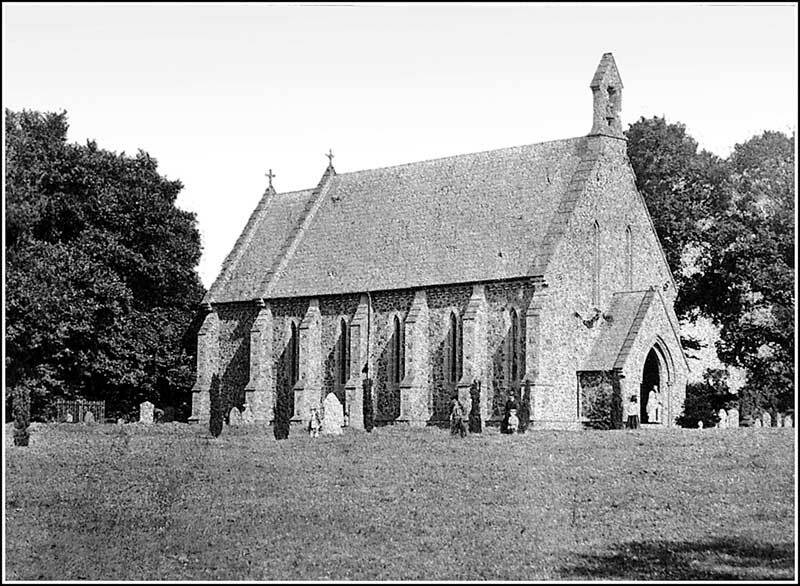 You can read more about the history of Guarlford church and the people connected with it in our books, 'The Guarlford Story' and 'The Guarlford Scene', as well stories listed on the GHG Reminiscences page. Licensed Lay Ministers in the Benefice. Except for early baptisms, the original registers of baptisms, marriages and burials are still in use and kept in the church. Although no archived registers are listed for St Mary Guarlford by Worcester Records Office at the Hive, it was discovered in 2014 that the baptism records for 1843 - 1884 were microfilmed by the LDS, and a copy is in fact held on microfiche by the Worcester Record Office at the Hive. To date, a full on-line index of Guarlford baptisms, marriages and deaths has not been created, but we have a transcription of headstone inscriptions and an extract from the baptism register (click links). There is a war memorial at the north gate. No names are inscribed, but you will find the names of the fallen inscribed on a board at the back of the church. Click to go to web page listing their names. To the Glory of God, and the undying memory of the Men of Guarlford who fell in the Great War 1914 - 1918 and in the World War 1939 - 1945. May they rest in peace. 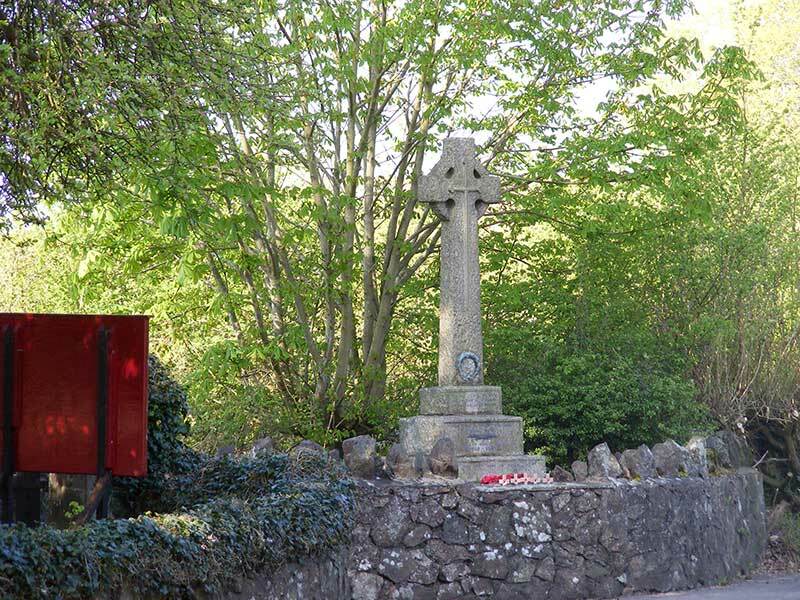 More information about casualties of WWI can be found on the Malvern Remembers website. The times of services can be found on Parish noticeboards and in Parish magazines, and by clicking the 'services' button in the navigation bar above. Sometimes a joint service is held at either Guarlford or Madresfield, for example on Palm Sunday - as an experiment, this year, services are being held alternately at Guarlford and Madresfield during the winter months to reduce the cost of heating. 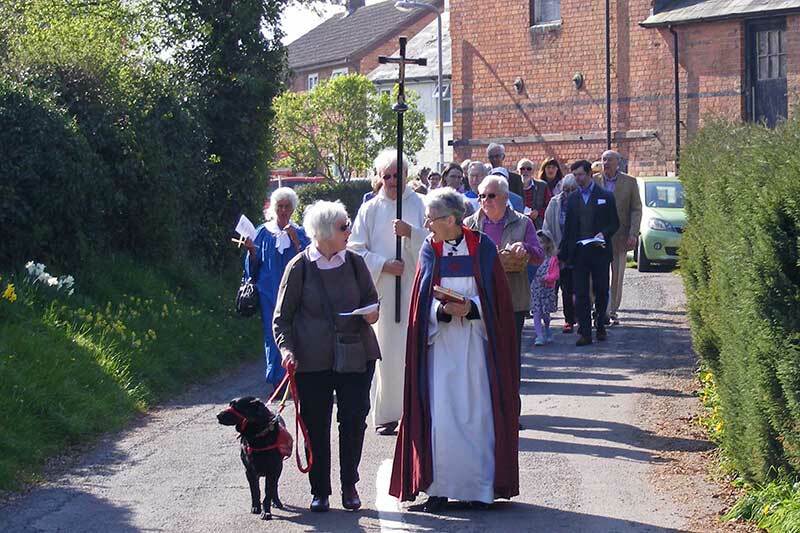 At other times you may see a Four in Faith service mentioned when all four congregations from Guarlford, Madresfield, Powick, and St James are invited to come together in one of the four churches. Refreshments may be provided after services at Powick and St James which have kitchens. On special occasions a kettle may be brought in to provide coffee at Guarlford and Madresfield! For information about services at Newland, please click the St Leonard's link below.